It's been five months since I last partook in a cupcake hunt outing. But with my friend Sarah moving away in the coming week, I decided to drag her on a cupcake adventure. 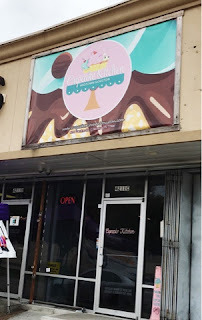 I decided on going to Cupcake Kitchen, which is located in Midtown. We both hadn't heard much buzz about the bakery and weren't too sure what to expect. And to my surprise, the bakery wasn't located in the trendy section of Midtown so we weren't sure how frequently customers patronized the bakery. There were about 8 flavors available and I decided on a strawberry while Sarah opted for the Italian Cream. Each cupcake is $2.98. Right off the bat, Sarah noticed that the cakes were definitely made from a box cake mix. 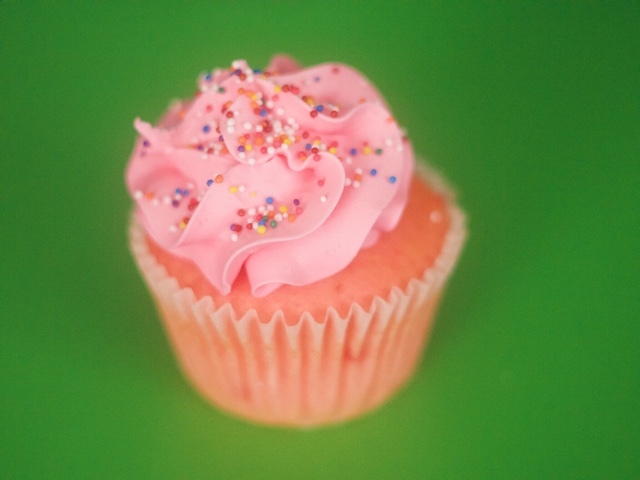 The strawberry cupcake had the same pink coloring as the box mix cupcakes she made a few weeks ago for a cake decorating party. The strawberry cupcake was springy to the touch but was heavily fragranced with an artificial berry flavor (just like cap'n crunch berries). It was also way too sweet and pretty unsatisfactory. 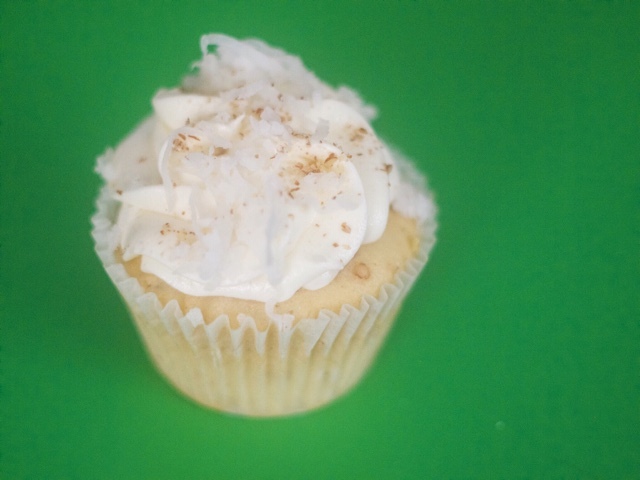 The Italian Cream was a much better cupcake but it still had the flavoring of a yellow box cake mix, more like an enhanced box cake. It was much more flavorful and the frosting wasn't too sweet either. It was a pretty disappointing outing but I hope this doesn't sour Sarah's memory of Houston and its amazing food scene. And hopefully next month when we visit her in NYC, we'll definitely find OMG AMAZING cupcakes.